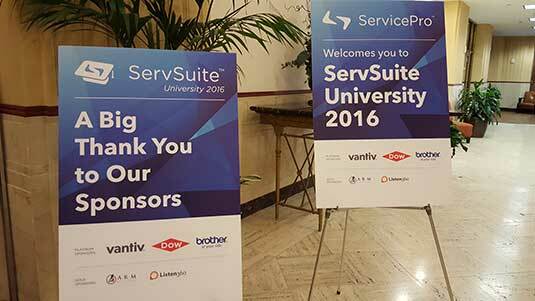 Welcome to ServSuite University 2016! 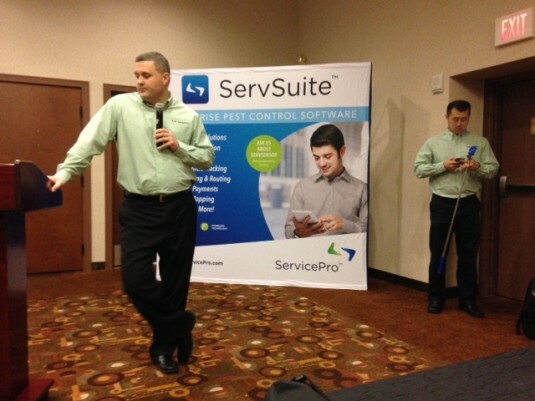 Attendees at ServSuite University, ServicePro‘s 8th annual conference for users of ServSuite, took advantage of the opportunity to learn more about the business management software for pest management professionals. The three-day event, which kicked off Feb. 17 in San Antonio, Texas, featured presentations by ServicePro’s experts and super users. They demonstrated new functionality, explained the basics, illustrated time-saving features, and encouraged questions. ServicePro Chief Operating Office Andy Deering opened the event, and thanked the nearly 250 attendees for their interest and support. 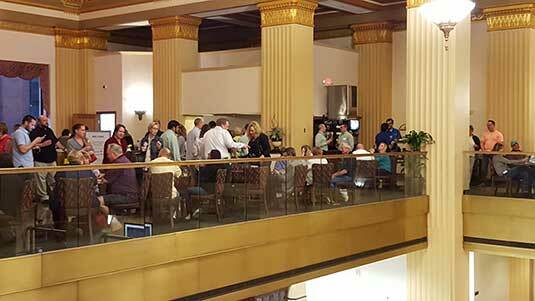 About 30 people attended the first conference, which was held near company headquarters in Columbus, Ohio. ServicePro couldn’t have held such a successful, well-attend event without the help of this year’s Platinum sponsors: Dow, Vantiv and Brother, he said. He also recognized A.R.M. Solutions collections agency and Listen 360 customer engagement software. Although ServSuite University features three days of educational sessions designed so users can learn best practices, receive one-on-one support and check out vendor exhibits, it is is an excellent place to network with pest management peers. “You’re going to learn more from other users than you are from us, so share ideas,” Deering said. Ka Tsu, ServicePro’s director of sales, also remarked on the growth of the event, saying the meeting is becoming bigger each year and acknowledged his hard-working staff helping to make it a success. 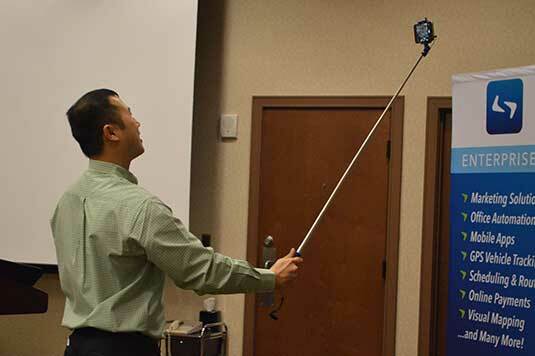 He used one of the selfie sticks each attendee received when they registered to snap a selfie of the audience. 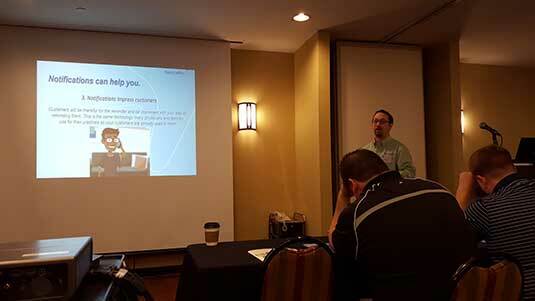 Later in the day, Tsu led a session that covered the basics on using ServSuite Mobile. He explained the difference between using ruggedized hand-held devices and tablet computers. He also suggested ways to help reluctant techs embrace the use of this technology. Starting with an employee who is tech savvy may help encourage other pest management professionals (PMPs) to use the devices, he said. Features Tsu demonstrated included how to see a technician’s schedule for the day, call up driving instructions, service details, customer notes and account history. ServSuite Mobile does so much more, he didn’t cover them all, however he presented a good overview. He also touched on more advanced capabilities, such as how to customize a work order, and provided details on recording credit card payments. He also stressed the need for PMPs to synchronize the data they add to the system from the jobsite so it reaches the office staff. At ServSuite University, attendees could learn more than just the basics. They could discover the new technologies ServicePro has on tap. 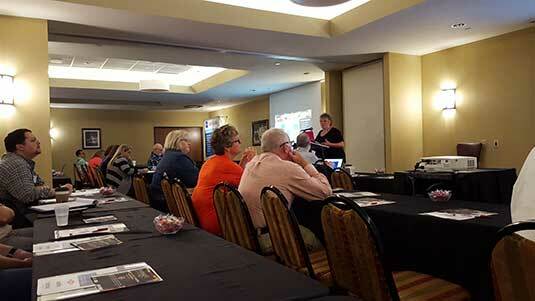 A session presented by the company’s entomologist, Adam Holt, and territory manager Randy Hames introduced ServSensor. The product, which remotely monitors bait stations and catch traps, perfectly illustrated how the pest management industry is taking advantage of new technology. About 300 of the company’s accounts are testing the product for use with wildlife and rodents. It uses a sensor on the trap that indicates whether an animal is in the trap, a repeater that records the activity, and a WiFi router that transmits this information to the pest management company. Alerts notify PMPs instantly, so they can prioritize which accounts to see first, if at all. Users can customize how they receive the information, how often the trap is checked for activity for instance, and analyze the activity at accounts. ServSensor is designed to improve customer service, particularly with large accounts, Hames said. Also on tap was a session about Sentricon Mobile. Davin Rockstad, a Dow AgroSciences Sentricon support manager, explained the benefits of scanning stations. Proof of service, quality assurance, added value and the ability to report the collected data were just a few of the reasons mentioned. He also shared helpful tips, such as using Google Maps to find the property being serviced, making a screen shot, importing the photo, and adding the stations so techs and customers can see where baits are placed. Also in this session, attendees received immediate answers to their questions about how to properly use the tools with the application. Also on day one, Rollins Inc.’s group vice president and CIO, Lee Crump, and Vice President of IT Thomas Tesh shared how they weighed the pros and cons of Android and iOS when choosing mobile phones for the company’s employees. During their general session, they revealed they manage more than 11,000 cellular accounts — a figure that reflects more people than the company employs. They said they wanted to make sure they chose a solution that would be there for the long term, using Blackberry as an example. Crump and Tesh shared the strengths and weaknesses of each platform. They also offered several tips for choosing the right mobile phone. On day two of ServSuite University, Pest Management Professional Managing Editor Diane Sofranec moderated a panel discussion titled, “How will the Internet of Things and mobility change the industry?” Panelists included Kurt Scherzinger, PMP columnist and general manager of Scherzinger Pest Control; Kevin Sherrill, general manager of Sherrill Pest Control, and Glynnis Smith, office, customer service and IT manager of Home Pest Control Co. Inc. The discussion explored how the Internet of Things — physical objects embedded with electronics, sensors, software and network connectivity for the purpose of sharing and collecting data — will affect the pest management industry. Smith, who uses ServicePro’s ServSensor, acknowledged that the business is evolving. She was pleased that the pest management industry is keeping up with the latest advancements. Each panelists shared their experiences with mobile technology and why they use it. Also on day two, social media best practices were the subject of a session led by Find8 Digital Marketing CEO Karla Shelton. She explained the importance of search engine optimization (SEO) for websites; offered tips on how to write Facebook posts customers want to read, like and share; and discussed effective marketing options. ServSuite’s customer surveys integration explained how to get the most out of customer reviews. Listen 360’s Jacob Laubscher explained how to use the customer feedback survey tool to take care of existing customers and help with the company’s online reputation. He shared why repeat customers are important, as well as why customers become detractors and promotors. Fourth generation PMP Jeff Jones, co-owner of Admiral Pest Control, shared his experiences with the application. ServSuite University wrapped up with a discussion of what’s on the horizon for ServSuite users, and what to expect at next year’s event. Welcoem to ServSuite University 2016! Managing Editor Diane Sofranec and Digital Editor Kelly Limpert enter their first submission into the #servselfie contest. 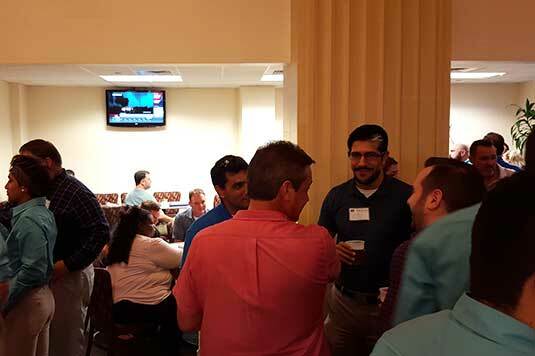 ServSuite University attendees gather together for a night of laughter and networking. 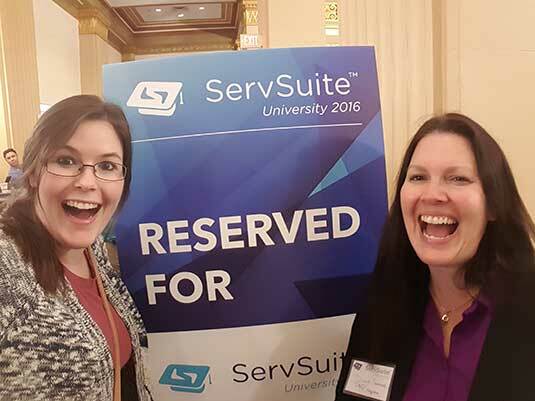 ServicePro’s Andy Deering and Ka Tsu kick off ServSuite University. 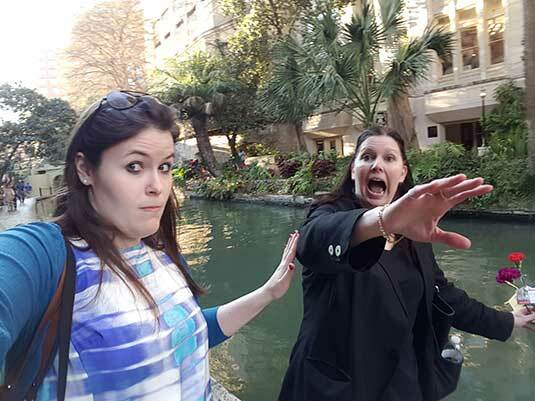 Know how to use a selfie stick? Attendees of ServSuite University now do! Alan Mahan discusses the benefits of automated calls/texts during day one of ServSuite University. Who’s ready for happy hour? Let the networking begin! Karla Shelton shares social media tips and how to create content that leads to action. 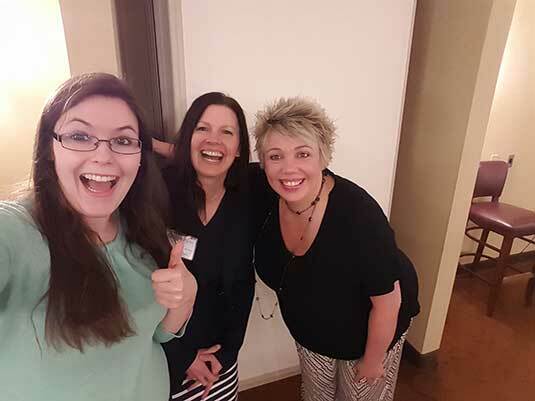 Karla Shelton joins the quest to win the #servselfie contest.